Because of Jenna and other volunteers from Austin Bat Cave, my words finally feel important. Through her tending and caring, my writing blossomed into something I could never have imagined. Now that I’m in college I feel especially thankful for my Austin Bat Cave experience, which taught me skills that translated into my academic writing and make even my informative papers more engaging. The most important thing is for kids to write and express themselves. The best stories are those that make us laugh and cry, and the most memorable are the original ideas which make us stop and think, or help us see the world in a new way, and therefore both types of writing are essential. Austin Bat Cave understands that. One of the things writers do, especially when they don’t want to start a new project, is read books and listen to podcasts and lectures about writing. I do it all the time. One of the notions I come across most often in discussions of the craft is, “I really don’t know what I think until I start writing,” or “The process of writing itself shapes my arguments, my characters, my plot.” Even writers who create detailed outlines before putting pen to paper or fingers to keyboard usually admit that the story they finish is very different from the one they started. When I decided to write a blog post about creative writing workshops and camps for kids in Austin, I learned this lesson again. Ali Haider, program director at Austin Bat Cave (ABC), told me that when kids in their writing workshops learn to analyze how stories and poems are put together, they take that understanding on to everything else they study in school or read and see out in the world. If a student can learn to analyze and then write her own science fiction story, she can also learn to dissect an argument in a history book and write an essay about it—or critique a politician’s speech. 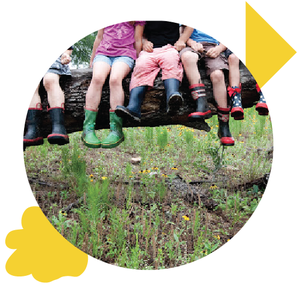 In the experiences offered by Austin Bat Cave and the Austin Public Library Friends Foundation’s Badgerdog program, writing coaches demystify paragraphs and sentences, and students learn how stories are built from scratch. Ali’s approach at ABC reminds me of a tinkering workshop where budding engineers might learn to take apart and put together a toaster or a computer motherboard, gaining an understanding of how things work and the power to create their own entirely new inventions in the process. When you finally get paid. Beauty no more, the Earth is dull. Can’t even help our cause. This world I cannot bear. At Austin Bat Cave, about 1,700 students a year get creative in writing classes at participating schools, weekend workshops, and summer camps. Groups are kept small so that the one-on-one mentoring ABC values so highly can happen. “All writers need a good guide and mentor. So ABC builds workshops around one-on-one coaching and feedback,” says Ali. At Badgerdog, manager Cecily Sailer finds a similarly talented group of writers fueling her camps and workshops. “Austin is home to a robust writing community,” she says. “Many of the teaching artists in our program are graduate students in the UT Michener Center or New Writers Program or Texas State Creative Writing Program.” Badgerdog’s summer camps and workshops are held in libraries, schools, and community centers all over the city. In Badgerdog’s many summer writing camps, each classroom has no more than 15 campers. A typical day might start with a free-writing exercise with sharing time afterward. Kids have structured lessons related to some aspect of fiction or poetry, followed by some time to stretch and relax and have a snack. Reading together and playing language games usually rounds out the day. If you’re ready to stop reading about writing and sign up to WRITE, check out the programs, and consider donating to help them keep thriving. Connect to Austin Bat Cave via Facebook and Twitter, and find its summer camp schedule here. Connect to Badgerdog and find their summer camp offerings here.